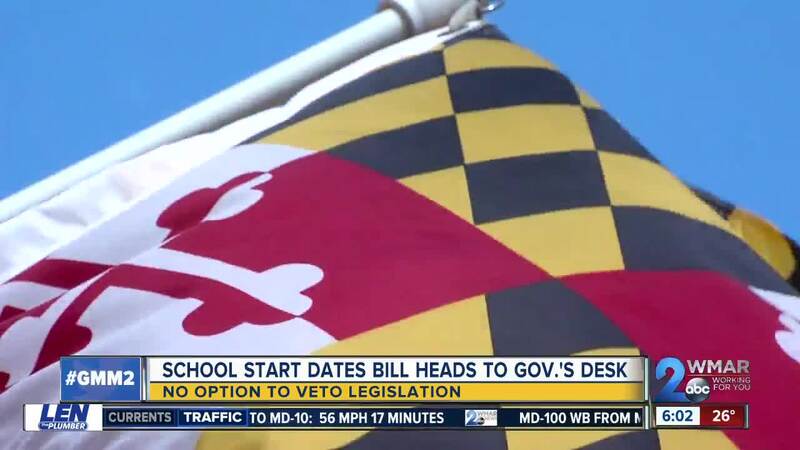 Maryland senators passed a bill to allow local school boards to decide whether to start school before or after Labor Day. ANNAPOLIS, Md. — Another measure moving forward in the General Assembly would let county public school boards decide when to have the first day of class. Deciding when schools should start classes has been a big debate, and a bill was passed that would allow each school board to make that decision. The state senate made that final vote Monday where each school board would decide if classes should start before or after Labor Day. It reverses an executive order from Governor Larry Hogan in 2016 that required all schools to start after Labor Day. Supporters of that executive order say longer summer breaks gives families more time together. Those who have been opposed it believe that starting school after labor shortchanges education. Others say that different school districts have different scheduling needs and believe the decision should be up to the school boards. The bill now goes to the governor, who opposes it. There is no veto option because the house and senate have enough votes to over-ride a veto. When the house passed the bill last week Governor Hogan called it "politics at its worst."